PIPO Tablet is a brand with not a very long history, but it develops very quick among recent years, one reason is for the production of the PIPO TV Box such as the PIPO X8 Pro and the PIPO X12 that is very popular especially in the foreign market; the other reason is that it develops with a wide area that except the TV Box, it also produce the Notebook. 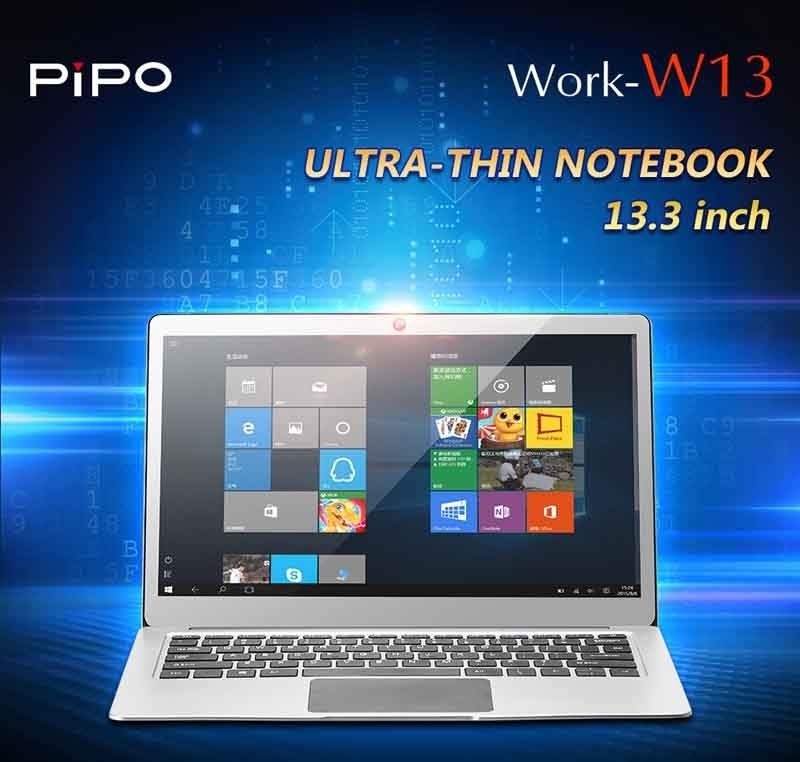 The production of the PIPO W13 Notebook is a good example with a high reputation. The W13 weighs less than 1,500 grams but it is equipped with an Intel Apollo Lake N3450 processor, 4GB RAM plus 64GB ROM that is the same as the PIPO X9S, and a 13.3-inch FHD display with the help of USB3.0 standard interface, Mini HDMI interface, Mirco SD card socket etc. that the using experience is amazing and unforgettable. In addition, it comes with the Win 10 OS that is the best choice to use it to deal with the files in working while you can also enjoy the games in free time with the screen resolution of 1920 *1080 Pixels that the vision is colorful and vivid like the tablet of the PIPO W9S. It sells for 259.99USD on PIPO-store, you can buy it here: https://www.pipo-store.com/pipo-w13.html.